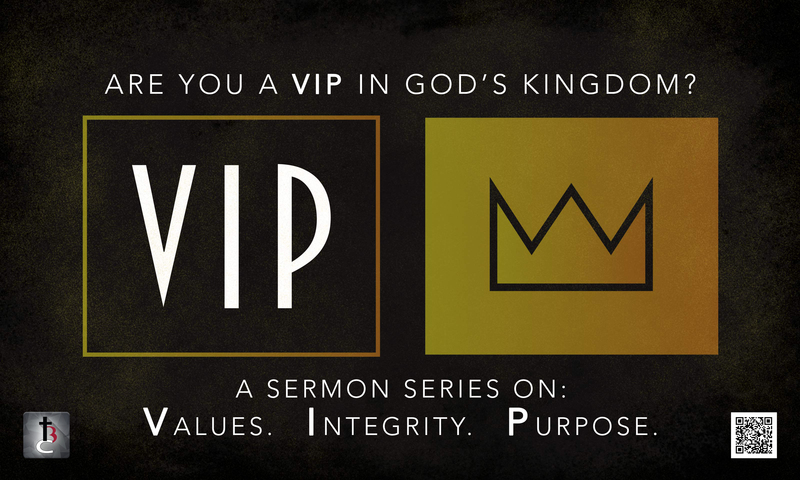 We are beginning a three-part series on what a VIP or Very Important Person is in the Kingdom of God. The first letter in VIP is a V which stands for Values. A VIP in God’s eyes is a person that has Values. When we hear the word value, we usually think of an amount of money or the importance of something, but values also represent our belief system. What we believe that is important to us and guides our life. Our life is like a ship sailing through the seas of life and our values or belief system is the rudder that guides our every move and direction. Today we are looking at the life of a man named Joshua that is taking the leadership of guiding the children of Israel into the Promised Land after Moses has died. In the first chapter of Joshua, God tells Joshua to meditate on His law day and night and not depart from it. In the last chapter, Joshua says to everyone, as for me and my house, we will serve the Lord. God gave Joshua some values or belief system that he has determined to live and lead by. We need a value or belief system that we will not only live by but die by, just like Rachel Joy Scott from the Columbine shooting. How can we determine that we are a VIP in God’s eyes that has values to live and lead by? Values that are clearly scriptural and not based on feelings, emotions or society. Values that you are not going to deviate from in any way, no matter what. Values that guide your decisions and directions. Values that your entire family has it’s foundation on. Values that honor God and He gives prosperity from. Are you living and leading by values that God honors in every area of your life? Are you living by the same values at home, work, school or play? Are these values that you would die by?